“Death of the sedan” — it catches your eye, but is it true? Much has been made of automakers dropping their sedans. FCA started the trend, ending the Dart and 200, and Ford followed with its own announcements; and then GM said it would drop one of its small Chevys. But is the death of the sedan overstated? The most popular sedans, coming from Toyota and Honda, are staying with us, even if their numbers are down and there’s more of a focus on their tall-wagon (“crossover”) mates. So are the large Dodges, the Charger and Challenger, which are still printing money along with the closely-related Chrysler 300. The 300 may not return in 2021; or it might. Nobody, possibly even at FCA, is sure. Still, the Charger and Challenger are returning, and even as it dropped the Dart and 200, FCA added the Alfa Romeo Giulia sedan. If we look at the product plans, indeed, the trimming seems to be fairly local. Chevy has long had two different front-drive sedans in essentially the same market. The Dodge Dart failed for reasons completely unrelated to its form factor, mainly botched marketing and unloved powertrains; the Chrysler 200 sold under high incentives, partly because it had the same name as the (completely different) prior model, and partly due to a design issue with rear seat access. The main problem with both cars, though, was FCA’s limited production space. Jeep and Ram, with their higher profit margins and sales, needed the factories where the Dart and 200 were made. Toyota is rebalancing Corolla and RAV4 production; if Jeep and Ram hadn’t been expanding so quickly, FCA would have done the same. Later this year, buyers will see four Chevy passenger-car refreshes, covering the Spark, Cruze, Malibu, and Camaro; the second-generation Volt will show up, too. The company seems to have the Spark, Cruze, Bolt, Volt, and Malibu in its long-term plans, too, with Automotive News predicting refreshes in 2021 and 2022. Over at Buick, buyers will get a refreshed LaCrosse and Regal. Cadillac will consolidate the ATS and CTS into a new CT5, while adding a new CT4; the CT6 was just launched this year. The Mazda3 and Mazda5 are continuing; BMW and Mercedes show no signs of paring their sedans, either. Across the industry, it seems like a few nameplates are dropping out, but most are staying. The sedans at risk are the unpopular or unprofitable models that aren’t needed for brand recognition or economies of scale. Sedans may be slowing down compared with crossovers, but automakers aren’t going to stop making them anytime soon. Admittedly, they will be paired with crossovers, but that’s been happening for many years anyway. “Death of the sedan” is an eye-catching story, but it’s not necessarily true. 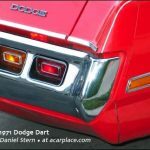 The author of Mopar Minivans, David Zatz has been writing about cars and trucks since the early 1990s; he also writes on organizational development and business at toolpack.info and covers Mac statistics software at macstats.org. David has been quoted by the New York Times, the Daily Telegraph, the Detroit News, and USA Today. You can reach him by using our contact form (preferred) or by calling (313) 766-2304. The future of big rigs is open; what’s coming? What’s the most exciting NYC reveal this year? What name should Trumpchi switch to?